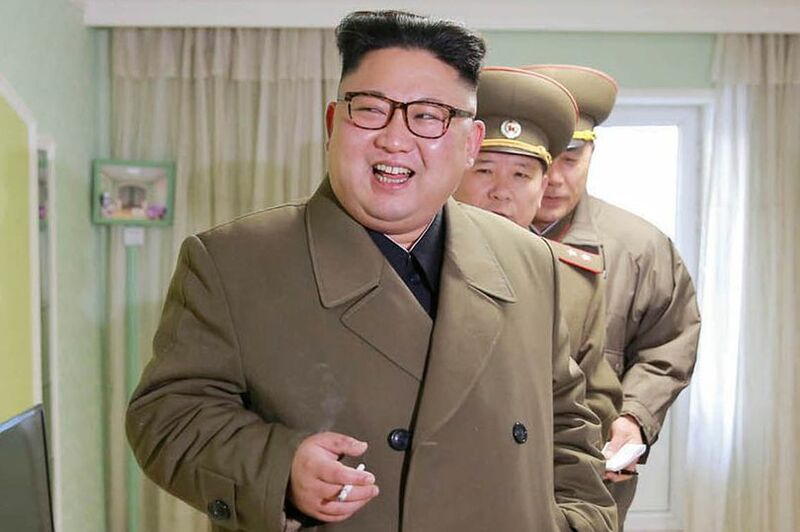 North Korean despot Kim Jong-un has a new favourite tipple - imported US liquor. The high-living dictator, known for his love of French cheeses, fine wine and whiskey, blew £33,000 buying spirits from the US last year. But it seems he does not mind a drop of the hard stuff brewed in the nation of his arch-enemy. Import data reveals that in the previous four years, officials in Pyongyang did not purchase any alcohol at all from the US, famous for Jim Beam and Jack Daniel’s. But he spent tens of thousands last year. He also blew £127,000 on German booze, £107,000 on spirits from Denmark and £38,000 on alcoholic beverages from the Russian Federation. With millions of his subjects on the bread line, Kim’s Government imported £74,000 worth of German wines, £18,000 of Italian brands, with £10,000 spent on Spanish drinks. Luxury beverages are reserved for Kim and his elite in the capital Pyongyang. Another £48,000 went on premium German beers and £6,000 on ale from Denmark - home of Carlsberg. Roly poly Kim, who developed a love of Emmental cheese while studying in Switzerland, appears to have now fallen in love with dairy products from Italy. Figures from Trademap - a body which logs imports and exports across the globe - revealed that £48,000 was spent on cheese from the country. Fine Brazilian coffee was another favourite with £715,000 in orders last year, as opposed to just £60,000 in 2015. Meanwhile more than two million of his subjects are struggling to get decent food supplies, according to the UN. • £74,000 worth of German wines. • £715,000 on Brazilian coffee (for the morning after). Figures from Trademap - a body which logs imports and exports across the globe.